Papyrus Paintings, The Nile Delta Cruise, Philae Temples and Much More! In my last travel diary entry, I wrote about the mystery of the Pyramids and Sphinx. Along the Pyramids Road, there are several such shops which sell papyrus paintings: these paintings are must-buy souvenirs from Egypt. 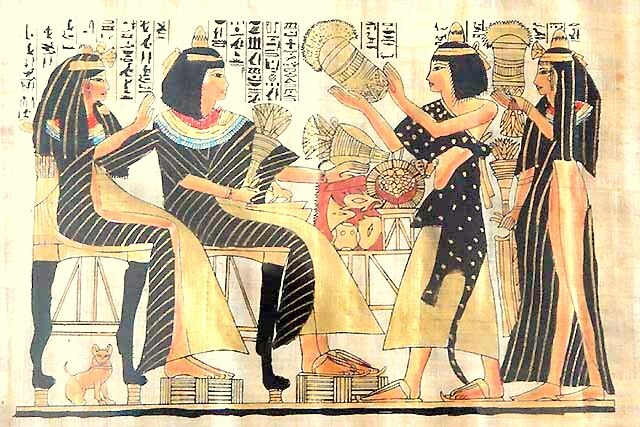 It was indeed fascinating to know about how the papyrus paper is used today and that the first use of papyrus dates back to 4000 BC. It was interesting to find out that the word ‘paper’ is derived from Papyrus, even though papyrus is not paper. The Papyrus stalks are taken out from the banks of the river Nile where they grow as weeds. The outer green skin of papyrus is removed from the stalk and the inner pith of the plant is then cut into long thin strips. These strips are then pounded to be broken down into fibers. Then, after being soaked in water for 3 to 4 days, the strips are cut to length and laid overlapping each other on a piece of cotton fabric. Here, we were told by the salesman who was demonstrating the process of how the papyrus is used for paintings, that cotton fabric too was first invented in Egypt. He then told us that the strips are laid down alternatively in a vertical and horizontal format to overlap. They are then sandwiched between two hard absorbent barriers which are later pressed for impact and then left to dry in the sun. After this, the papyrus is used to be painted upon by the use of various inks or paints. Even today, a lot of tourists buy the painting comprising of ancient Egyptian scriptures known as Hieroglyphics. 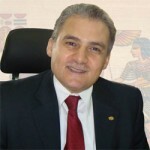 Hieroglyphics in fact, is the ancient form of Egyptian writing which is mainly found on the walls of Egyptian temples . It is like a pictorial script. The hieroglyphic script can either be written from right to left, or left to right or in columns. The script looks pretty and we saw a lot of these scriptures on the various temples we visited along the Nile later. After picking up a few ‘souvenir’ papyrus paintings, we went back to the hotel to retire early that evening. After all, the following morning we had to leave at the wee hours to take our flight to Aswan! 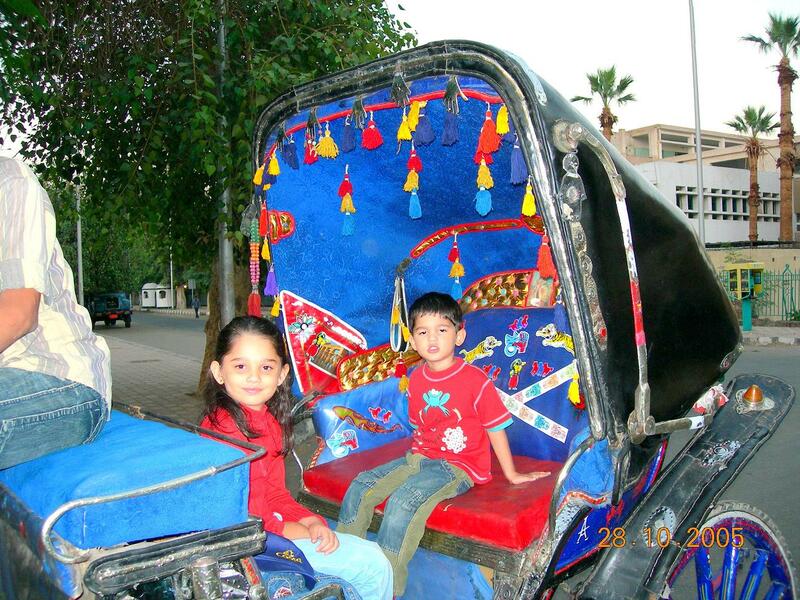 In the morning, we bid adieu to Cairo where we would return after our Nile cruise and subsequent visit to Hurghada. We boarded our flight and within an hour, we reached Aswan. 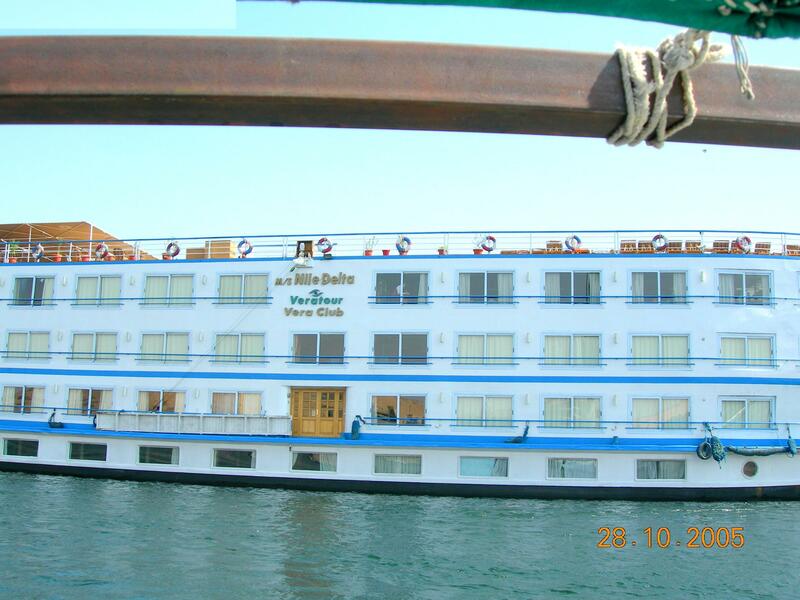 On our arrival at Aswan we were told that we could check-in at Nile Delta (our cruise boat) only at 1200 noon. Our guide received us. Aswan is known as Egypt’s sunniest southern city and has a population of 1 million. 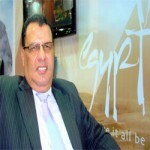 It is the starting point for the Nile cruise which terminates at Luxor. The other option is to start the cruise at Luxor and end it at Aswan. Aswan is also the town from where one can take a short flight of around 20 odd minutes to visit the world renowned Abu Simbel temples. One can also visit Abu Simbel by road but it takes almost 3 hours one way and you would have to leave at 0400 hours in the morning to reach at 0700 to be back at 1200 noon in Aswan. The temples at Abu Simbel, we were told, were built more than 3000 years ago and their main façade has four colossi with six colossal rock-cut statues. At Aswan, the Nile river is more beautiful than anywhere else. Around Aswan, one can participate in a lot of day excursions to visit the Philae Temple, the Botanical Garden, the Elephantine Island and even the Nubian Village. As our ship would only be sailing at around 1300 hours the following day, we decided to take a boat to visit the Philae Temple that morning. Before that, we visited the High Dam which was built way back in 1960. On one side of the High Dam you can get a picturesque view of Lake Nasser, the huge reservoir created when the High Dam was built in the south . There is a huge power station to the north of the High Dam. 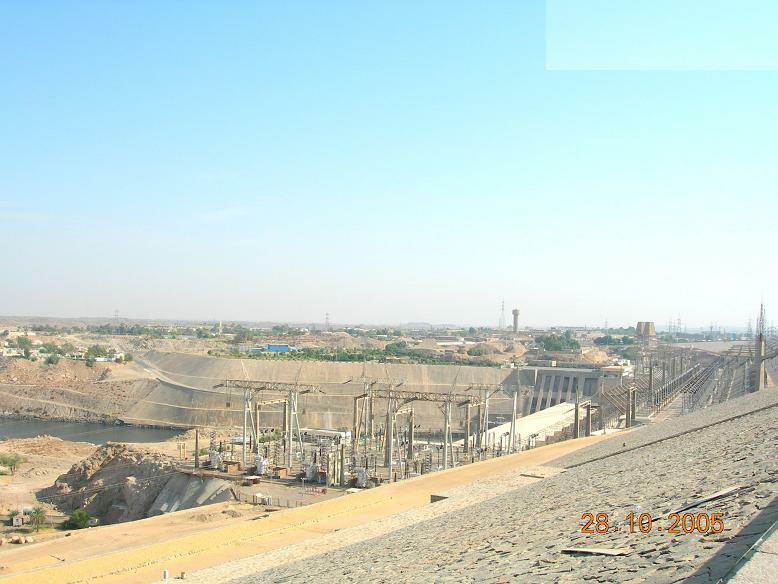 The High Dam today provides irrigation and electricity to most of Egypt and has stunning views of Lake Nasser on one side and the Nile river on the other. Lake Nasser leads you to the famous Temple of Abu Simbel and is considered to be the biggest artificial man-made lake in the world. It is 500 kilometres long. It is 183 metres deep and you can even find fish and crocodiles inside it. Along the way, we also saw the Agha Khan Mausoleum. We had an opportunity to see it again later when we headed by boat on the following day to the Nubian Village. The Mausoleum is closed for tourism and you can take a felucca sail to savour it from a distance. It is situated atop a hill on the West Bank of the Nile. Agha Khan, the great leader of the Islamic Sect used to visit Aswan every winter and he was buried in this magnificent Mausoleum. Later in the day, we also visited the Philae Temple, a Greek -Roman temple, which is a world heritage site. This amazing temple was lifted from Biga island stone by stone and rebuilt on Agilika Island which is 500 metres away from Biga. This was done as most of the temple was submerged because of the flooding of the Nile for almost 12 years between 1960 and 1972. The temple was cut up and shifted. In all, they cut the temple into 40000 pieces and lifted these pieces stone by stone and moved them to their new location. The temple is dedicated to Osiris, the King, Goddess Isis, who was the sister of Osiris , and their son Horus. Isis is known as the mother of God. She is said to have collected the body-pieces of her slain brother Osiris and moulded them into the first mummy. The Philae temple is beautifully landscaped and as our guide said, it completely matches the original format of the temple. Its various shrines and sanctuaries include the temple of Hathor- the goddess of love, music and dance. The mythology of Isis and Osiris was quite intriguing. At night, you have the Sound and Light Show at Philae which is an experience to behold! With the floodlit buildings silhouetted against the volcanic rocks and surrounding water, it is all mesmerizing. 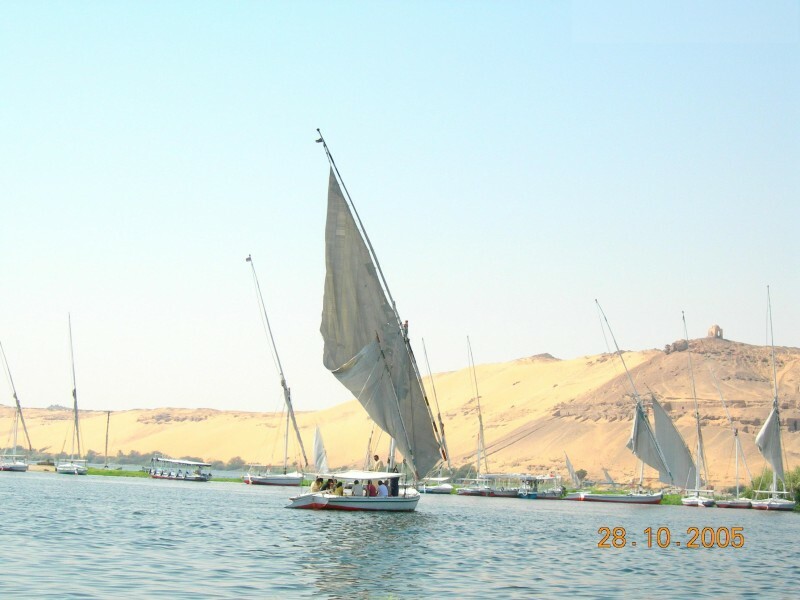 Later in the day, we checked into our cruise boat – the Nile Delta. 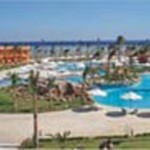 The Nile Delta comprises of 5 decks and 69 junior suites. The restaurant is on the lower deck along with a few boutique shops. You come across the main lobby and a few rooms as you enter the boat. The next level comprises of rooms, the library and the Internet facility. The following deck comprises of a few more rooms and a lounge bar with a fascinating panoramic view. Finally, there is the open deck which is the sun deck. It has a swimming pool with a bar alongside it. Each room is 21 sq metres in area and fully furnished. After having some good Italian food that afternoon, we took a siesta and the kids enjoyed themselves in the library which was alongside our room. The library not only had books but also a few games for kids. Later in the day, we sipped a nice warm cup of coffee in the evening chill of Aswan and then got off the boat to take a horse carriage ride across Aswan town. 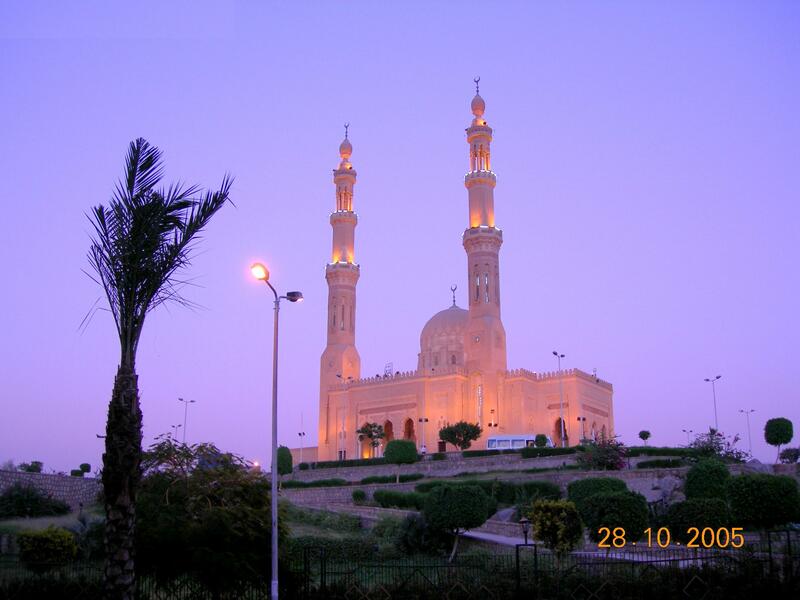 We traversed the narrow streets and saw the magnificently lit Aswan mosque on the way. After our ride of around 90 minutes (which the kids enjoyed thoroughly), we returned to the boat and crashed on our beds after dinner. It had indeed been a long day for us, having started off in the wee hours of the morning from Cairo. The following morning, after a sumptuous breakfast, we left for the Botanical Garden located on Kitchener’s Island. Here there are several species of trees planted by Lord Kitchener who brought them to Egypt from Sudan and aother countries. There are more than 375 kinds of plants and trees. In 1896, Lord Kitchener used this island as the camping site for soldiers – when Britain invaded this part of the globe. Lord Kitchener took 2 years to plant a large variety of plants and trees – hibiscuses, olives and many more. We had a pleasant and relaxing walk within the Botanical Garden and it was an ideal place for us to get some pictures in the backdrop of plants and trees. We enjoyed some ice cream on the island and after having spent an hour or so, we headed to absorb the charms of the Nubian Village. 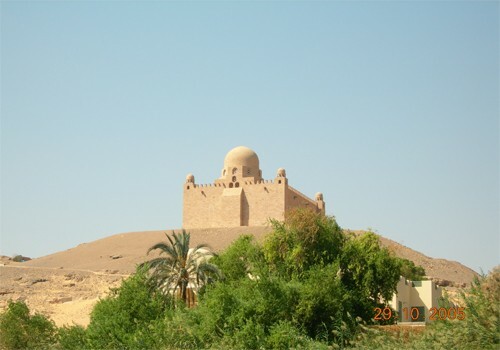 It is a must-visit place for those who wish to know about the culture and life of the Nubians. We went into the house of a Nubian which had been converted into a museum. We We felt the warmth the Nubians extended towards us. They were selling traditional artifacts too. My 7 year old daughter spent some time got henna put on her left arm and my son was awestruck watching the baby crocodiles in a fish tank. 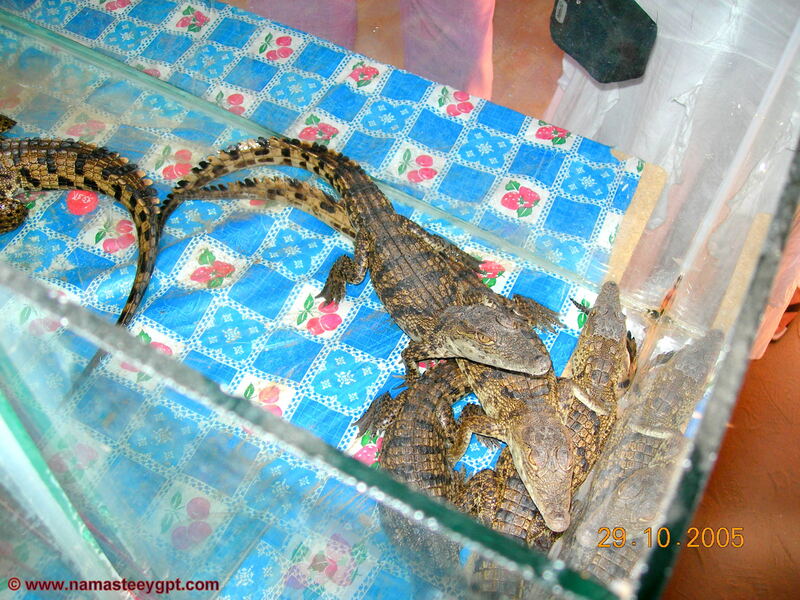 The Nubians generally like to keep crocodiles as pets and when the pets grow big, they let them out into Lake Nasser. 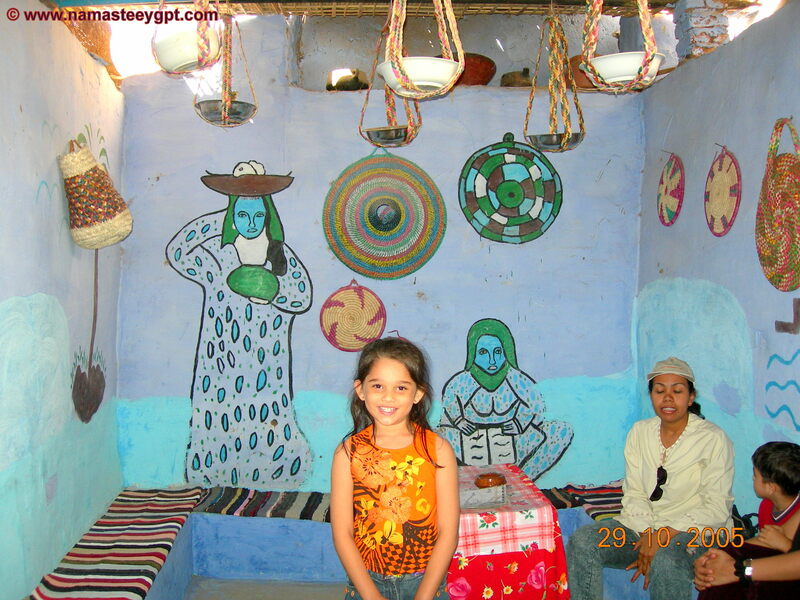 The house of a Nubian is very artistically done with colourful paintings on the walls. One more highlight for the kids was the 15 minute Camel Ride in the Nubian town. 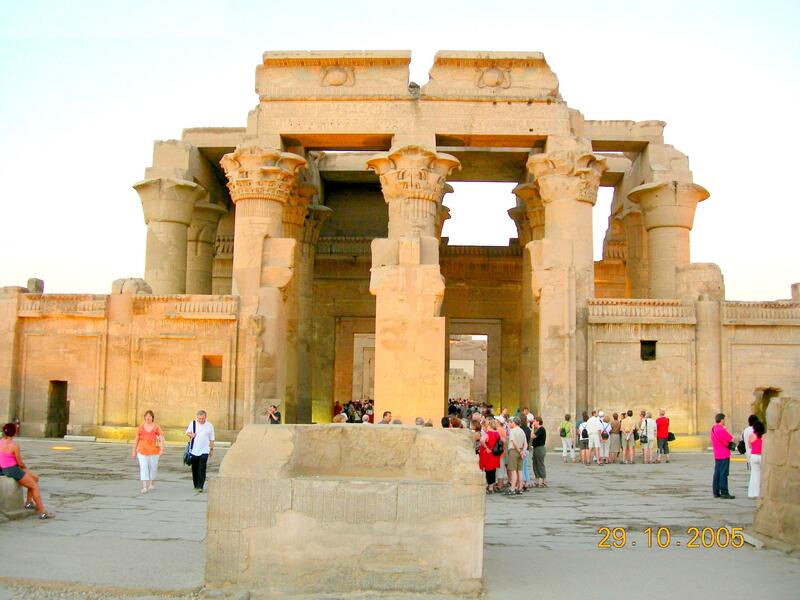 We spent the rest of the day on the ship as it started sailing towards our first halt – the Kom Ombo Temple. We arrived at this temple at around 1630 hours that afternoon. 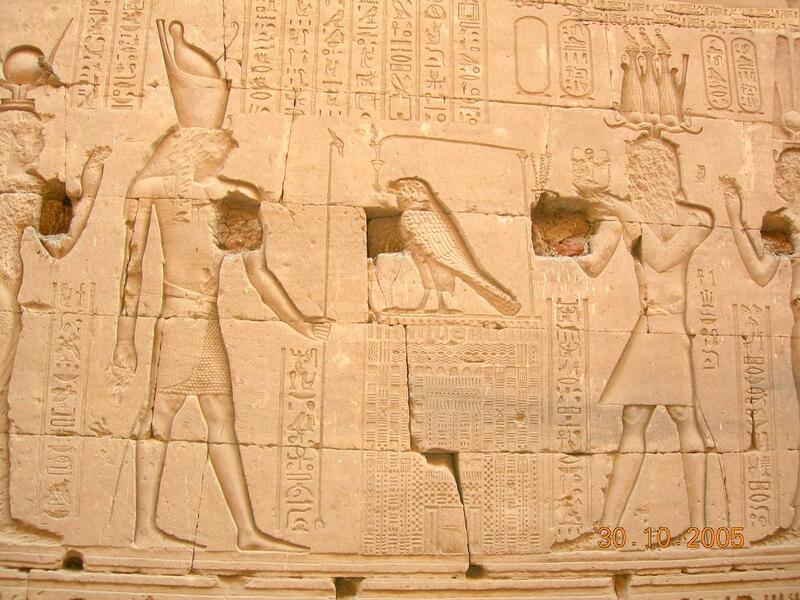 At Kom Ombo, we gazed at the temple of Horus and Sobek.